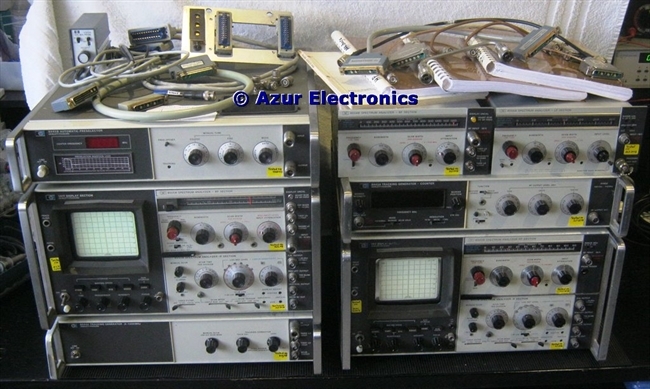 A Spectrum Analyser measures amplitude against frequency, unlike an oscilloscope which measures amplitude against time. HP Application Note 63 Spectrum Analysis provides a useful introduction to the subject, even if it is nearly 50 years old! 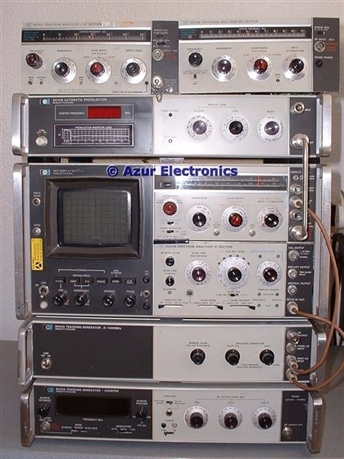 Most of my Spectrum Analyser equipment dates from the 1970s and is still fit for purpose. One big advantage is that it is still maintainable with full operating and service information available. This equipment provides a versatile way of making frequency measurements from 20Hz to 18GHz and amplitude measurements from -130dBm to +10dBm. A short review of how far I have got with this project and what's holding me up. After acquiring, repairing and testing all this equipment, these are my working notes on operating the spectrum analyser and the various IF, RF and LF Sections.